Supply-side factors are key to explaining the dramatic fall of oil prices from over $100 per barrel since late 2013 that have eaten into the profits of oil companies. However, oil industry observers are increasingly drawing attention to the long-term disruptive potential of new technologies, design methods, and business models that could also herald strong competitive pressures by weakening consumer demand for oil. The results of the Paris Climate Summit with its call for rapid emission reduction, early peaking and green-house-gas neutrality can accelerate this trend and herald a paradigm shift. As the world begins to embrace a low-carbon future by 2050, as evidenced in the Paris Agreement and many private sector initiatives, what are the strategic implications – and opportunities – for oil companies and resource owners? 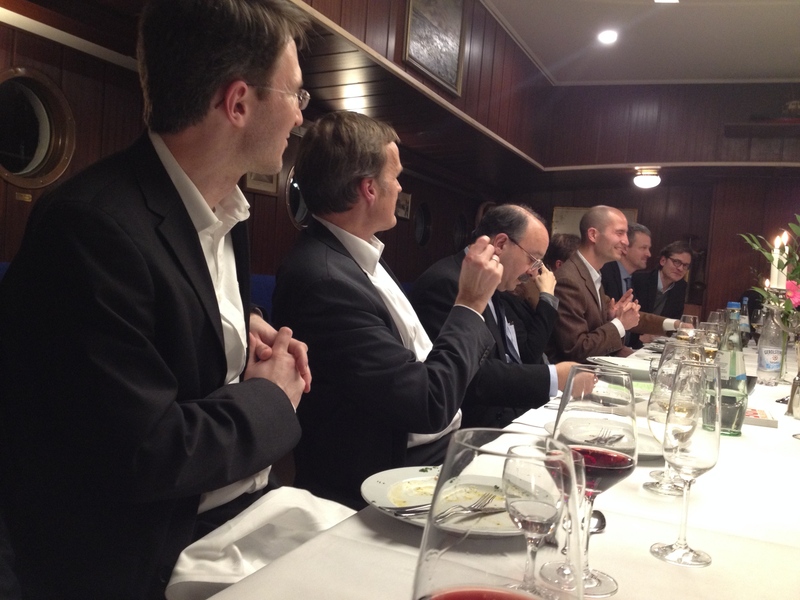 On 13 January 2016, Ecologic Institute hosted a Dinner Dialogue on the future of the oil industry featuring guest speakers Amory B. Lovins (Co-founder and CEO of the Rocky Mountain Institute) and Dr. Karsten Sach (Germany's Chief Climate Negotiator). The event was moderated by Ecologic Institute's Director, Dr. Camilla Bausch. During the event participants discussed the potential impact of disruptive competitors to oil markets such as energy efficiency and renewable energy on the future of the oil industry. Participants also assessed the role of policy vs. market forces in driving decarbonisation of the transport sector after the Paris climate summit. 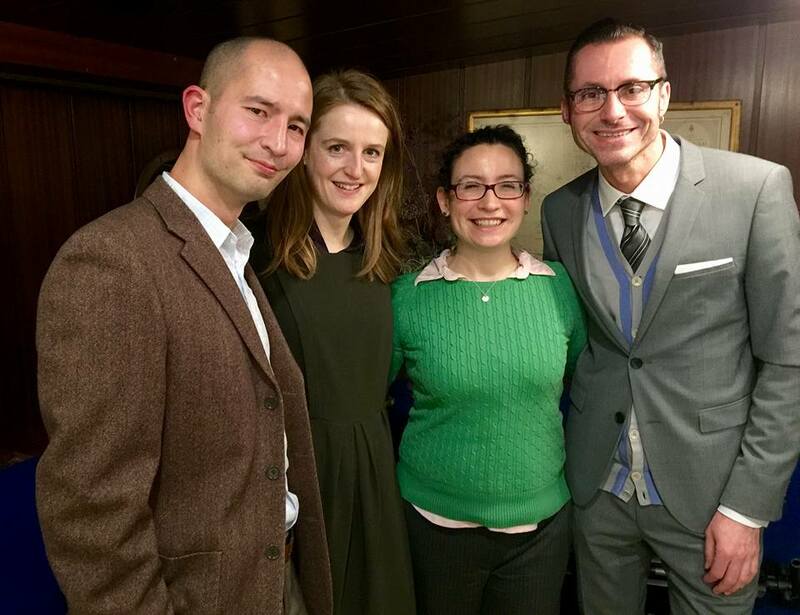 The Dinner Dialogue was an event of the Emerging Leaders in Environment and Energy Policy Network (ELEEP), as part of its ELEEP Transatlantic Dialogue on Energy and Climate. An exclusive ELEEP interview held with Amory Lovins after the event can be heard on SoundCloud. Amory B. Lovins is an American consultant experimental physicist and 1993 MacArthur Fellow, has been active at the nexus of energy, resources, economy, environment, development, and security in more than 50 countries for over 40 years. He is widely considered among the world’s leading authorities on energy—especially its efficient use and sustainable supply—and a fertile innovator in integrative design and in superefficient buildings, factories, and vehicles. Dr. Karsten Sach is Deputy Director-General for European and international Policy in the Federal Ministry for Environment, Nature Conservation, Building and Nuclear Safety in Germany. Before he assumed that office in 2004, he led the Division "International Cooperation, Global Conventions, Climate Change” for five years. Since 1999 he is the German chief negotiator at the UNFCCC conferences of the parties. The Dinner Dialogue was made possible through the kind financial support of the Federal Ministry for the Environment, Nature Conservation, Building and Nuclear Safety (BMUB), the European Union, the Robert Bosch Stiftung and the US Embassy in Berlin.